The war years in Ireland, which some called trivially in my mind, “the emergency”, was a time of rationing, hunger and a certain mount of fear in Ireland, at least initially. The threat of invasion was real from either warring side, and in villages like Cheekpoint, sailors risked their lives to keep meager supply lines open at extreme risk to themselves. Whilst ducking in and out of the furze shrouded ditches where runs of rabbit were more obvious, their youthful ears heard an unfamiliar sound. 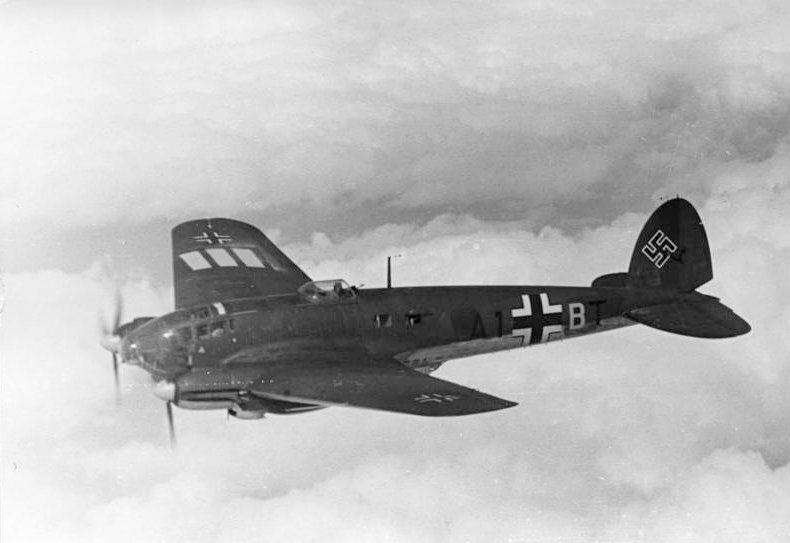 Glancing around they spied the dark green plane (it would later be confirmed as a Heinkell HE 111), and as they watched it came up the Wexford side of the river towards Nook and then along the shoreline to Dunbrody and the main Waterford – Rosslare railway line. It then continued towards Sliabh Coillte and turned in an arc towards the Barrow Bridge. Descending as it went, it proceeded to follow the railway line. It was only a few hundred feet as it came in over the small railway station and rural village at Campile, and then out of the bottom of the plane dropped three bombs, in quick succession. Their mouths fell open with the vision of what they saw and as they instinctively ran for the village, I’m sure their minds were filled with panic and dread. My fathers grandmother and Jim’s mother were both from the Wexford side, and even at a young age the connections would have been obvious to them. They heard the sound of the bombs rather than saw them. It was later he heard that the plane had turned around and made a second run. 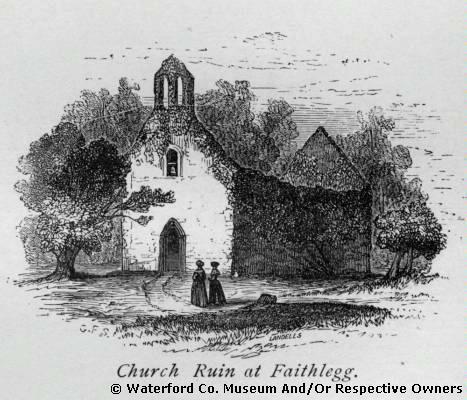 This Sunday 21st August my wife Deena and I will conduct a heritage walk through Faithlegg commencing at 12noon at the Church. Its the 11th year that we’ve organised something for Heritage Week . Faithlegg is probably best known now as a location for weddings, its hotel or to golfers who want 18 rounds in a stunning location. But to others, its a significant historic location. So what might you see in Faithlegg. Well to start with the Churches themselves make a beautiful starting point. The newer church dates from 1826 and is still in use today. I served as an altar boy here in my youth, and I mentioned before how we traveled on the mass bus every Sunday morning, something that usually leaves younger readers agape. There’s an interesting love story attached to the stain glass windows concerning a young heiress of the Power family and an ex Mayor of Waterford, John A Blake. Blake was the man responsible for the Peoples Park in Waterford city. The church beside it of course is ancient, and many hold the view that it is the site of two churches, and probably stands on the remains of something earlier. Of course the townland next door is called Kilcullen, or the Church of Cullen, and another church site is located there. If that’s not enough, there was a chapel in Faithlegg House, and mass was conducted on the Minaun in penal times! Surely to be interred here means automatic entry through the pearly gates. We have graves historic, such as the tomb of Thomas Francis Meagher, we have graves for sea captains, sailors and the lady who died twice! But most of all we have, in the Council award winning graveyard, the graves of men and women who worked their fingers to the bone to raise a family and try and live a good life. I put a few of them into the ground, as I worked as a gravedigger in the 1980’s when work was scarce and any job was welcome. 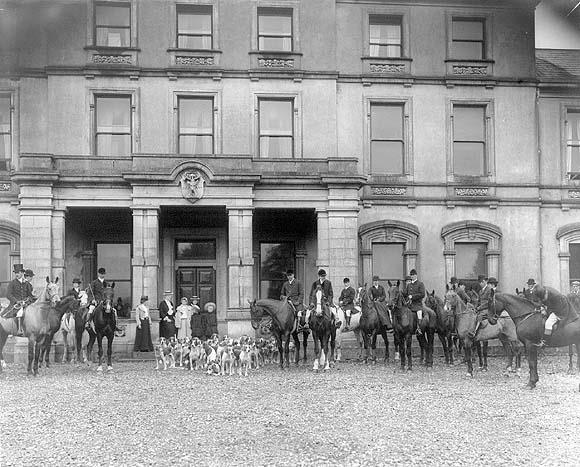 Faithlegg itself has a long history. 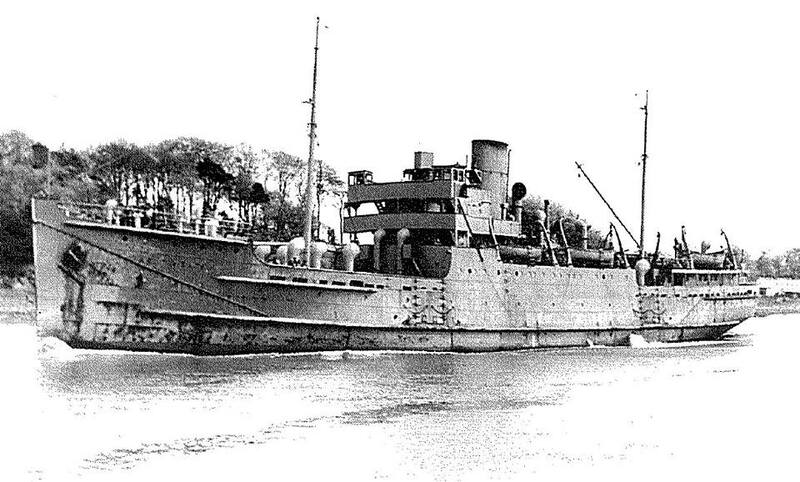 It was granted by Henry II to a Bristol Merchant named Aylward after the Norman landings in 1171/2. Aylward initially built a Motte and Baily to protect himself, but as tensions eased a fine stone castle was built on the lands above the church. 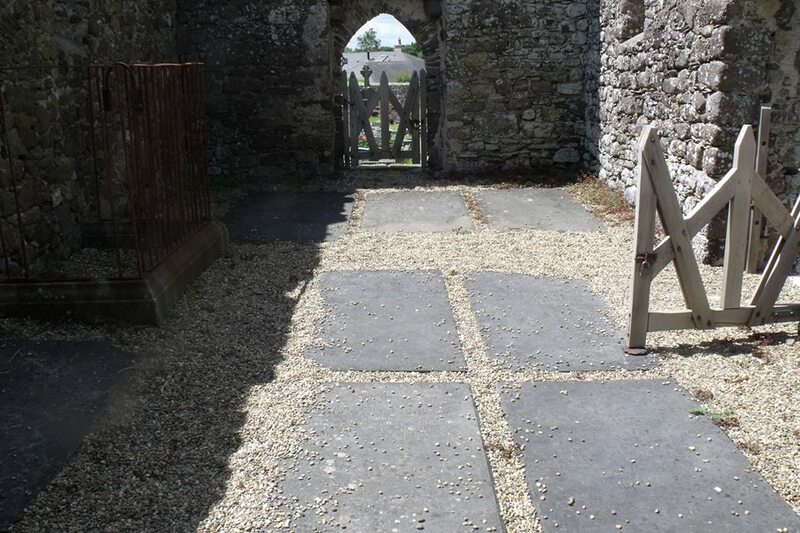 The last of the Aylwards were hung from the trees around abouts after the siege during the Cromwellian invasion, and to this day, there is the mystery of the abandoned Faithlegg village around the castle site. Returning to Faithlegg we can’t but stop to consider the early christian site, dedicated to St Ita. Her holy well has long been a feature in the parish, but it was once known as Tobar Sionnach. or the Well of the Fox. These and much more will feature on our walk this coming Sunday 21st August, at 12 noon. But if you want to walk it yourself here’s a self guided walk to follow. And if you are coming, your own stories of the area would be welcome too. and constant clearing of the harbour by Mine Sweepers. German sea borne attack, which also led to something I’ve written about previously, the removal of all road signs. 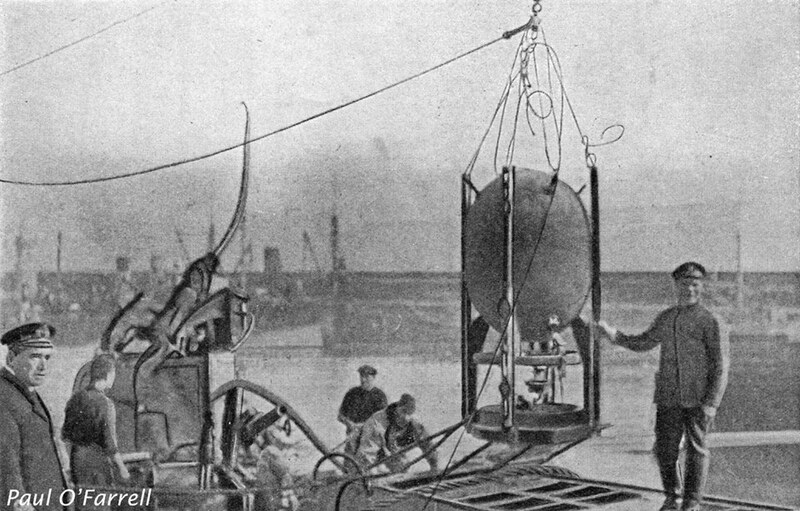 a mine had been spotted on the strand directly underneath the school. on the beach between Crooke and New Geneva, where apparently her mother used to picnic. My Brother in Law, Bernard Cunningham recalled the mine and said it was the same, his mother Eileen (RIP) often recalled the incident. That having been made safe it was left on the beach. However, it was removed in recent years by a scrap merchant. I’ve also heard of another mine that beached at Passage and that was taken away which made the Munster Express in late 1941, and a virtual raft of other incidents down the harbour and all along the coast and along the Wexford shoreline. They even travelled as far upriver as Mooncoin! 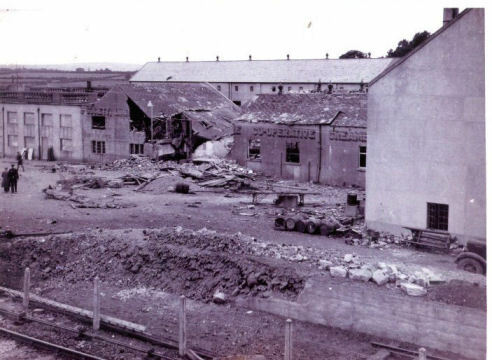 There were questions asked in the Dail about a delay in clearing a mine from a packed Tramore Beach in the summer of 1941 and the naval vessel Muirchu was a frequent visitor, called to dispatch mines using gunfire to detonate the threat. countless lives as a result. meaning the 5pm train could depart with safety. the sea might give up, particularly on a stormy day. Richter’s corpse washed up on Wexford shore in the following weeks and was buried in Duncannon and after the war re-interred in the German Military Cemetery at Glencree Co Wicklow. Apparently Joahnn Fahnster’s body was never recovered. Of the remaining twenty seven souls little is known. 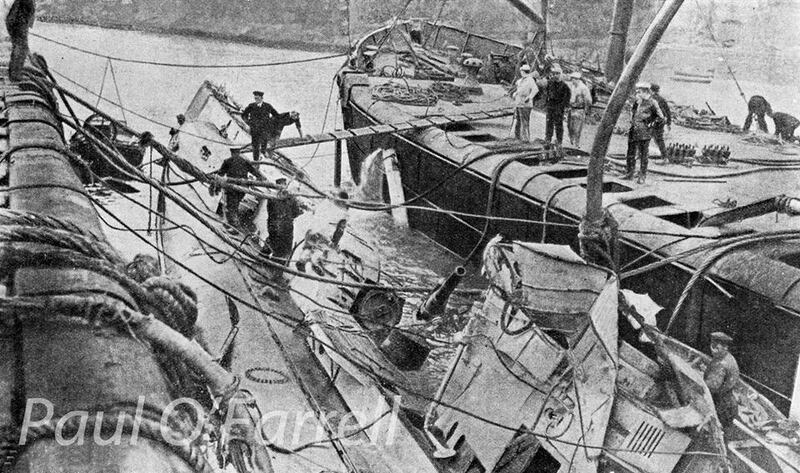 There is a thread online claiming that 19 bodies were contained in the submarine when she reached Dunmore, undoubtedly the others would have washed out of the damaged hull. The reference for this claim is cited as Robert Grants book the U Boat Hunters. Some claim that in line with naval policy, they were taken out and buried at sea. 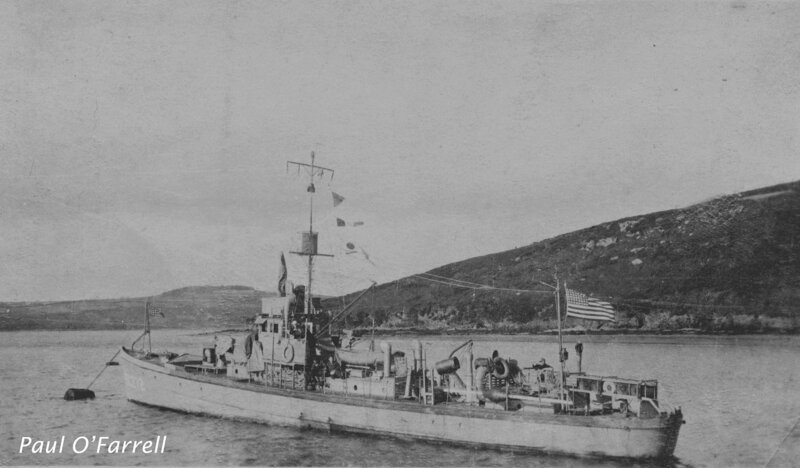 It has been speculated that to inter so many in a cemetery on land would draw attention to the fact that the U-boat had been salvaged and thus lose an advantage to the German side. Many accounts don’t even mention the crew, their average age being 20! Perhaps seeing the crew list will make it more real.